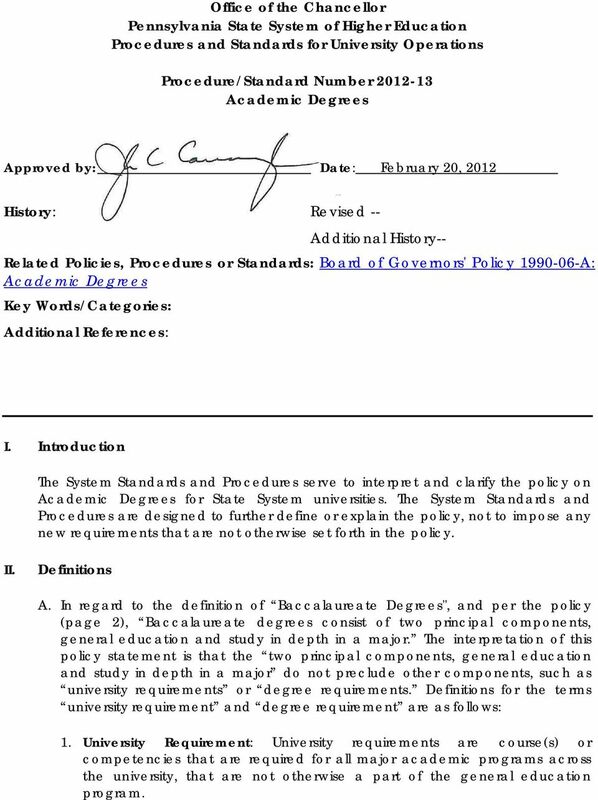 Download "Office of the Chancellor Pennsylvania State System of Higher Education Procedures and Standards for University Operations"
1 Office of the Chancellor Pennsylvania State System of Higher Education Procedures and Standards for University Operations Procedure/Standard Number Academic Degrees Approved by: Date: February 20, 2012 History: Revised -- Additional History-- Related Policies, Procedures or Standards: Board of Governors' Policy A: Academic Degrees Key Words/Categories: Additional References: I. Introduction The System Standards and Procedures serve to interpret and clarify the policy on Academic Degrees for State System universities. 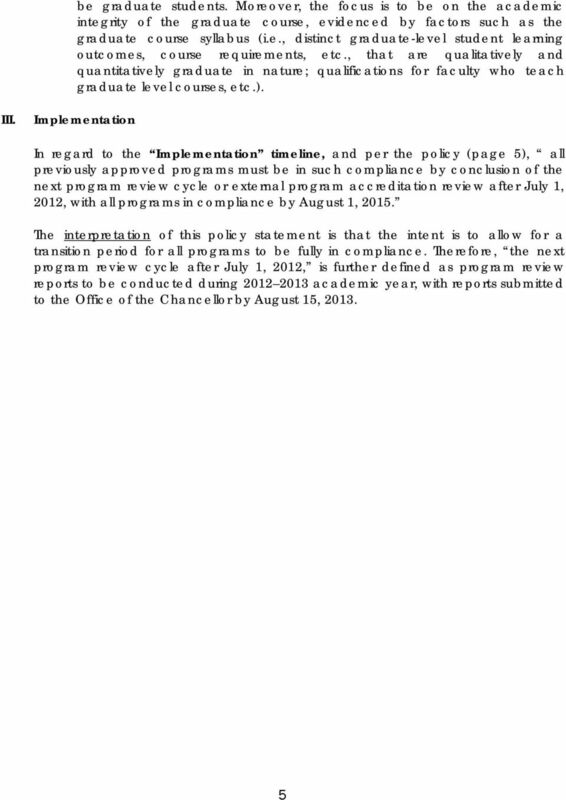 The System Standards and Procedures are designed to further define or explain the policy, not to impose any new requirements that are not otherwise set forth in the policy. II. Definitions A. 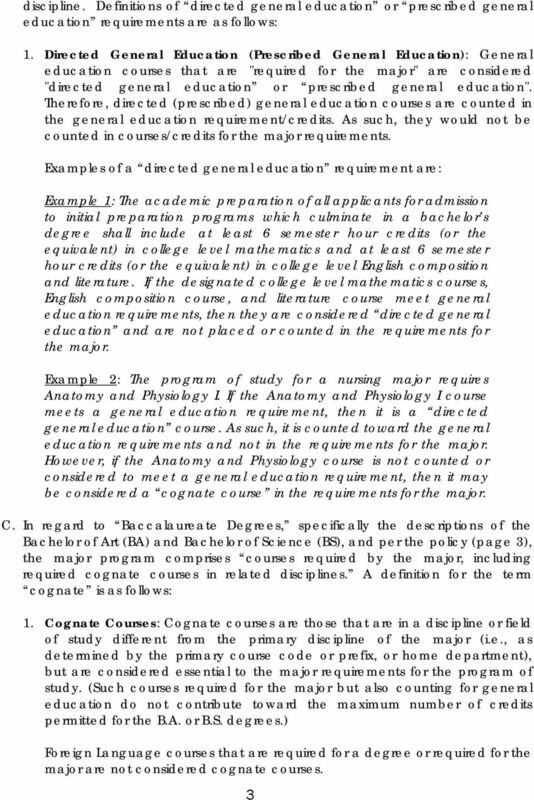 In regard to the definition of Baccalaureate Degrees", and per the policy (page 2), Baccalaureate degrees consist of two principal components, general education and study in depth in a major. 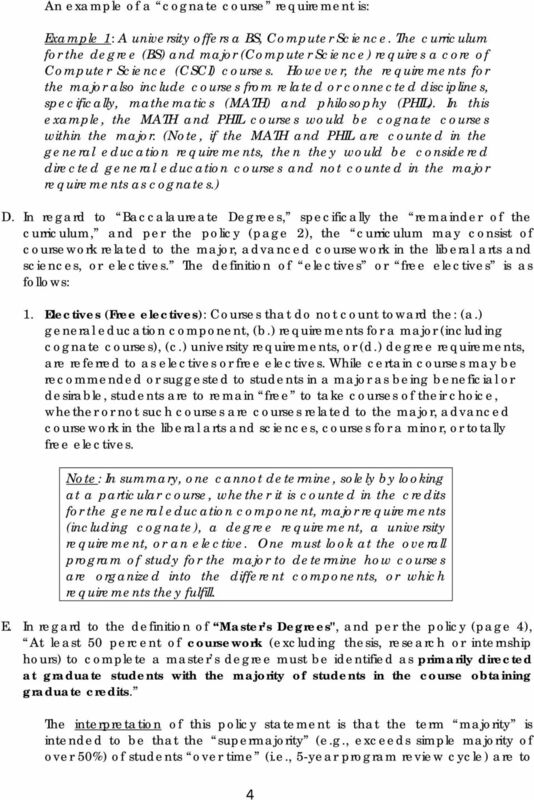 The interpretation of this policy statement is that the two principal components, general education and study in depth in a major do not preclude other components, such as university requirements or degree requirements. 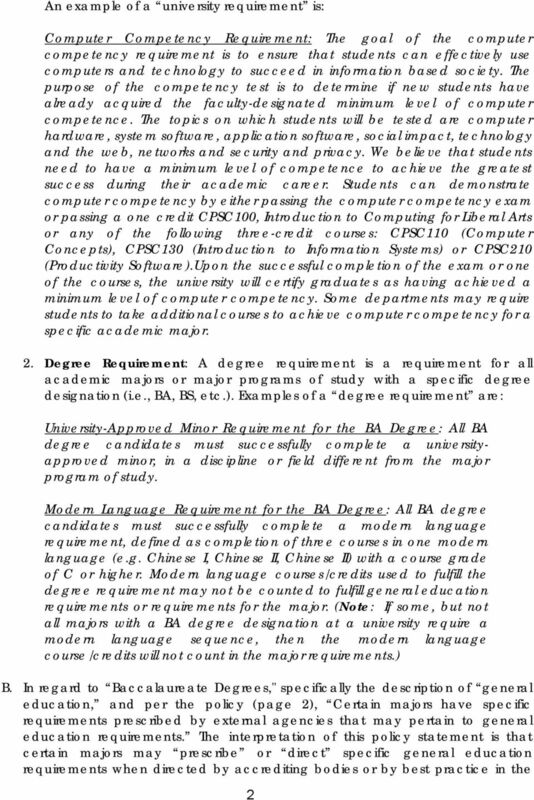 Definitions for the terms university requirement and degree requirement are as follows: 1. University Requirement: University requirements are course(s) or competencies that are required for all major academic programs across the university, that are not otherwise a part of the general education program. North Carolina State Board of Certified Public Accountant Examiners CPA CERTIFICATE APPLICANT WORKSHEET 150 SEMESTER-HOUR REQUIREMENT This worksheet is designed to assist you with applying for certification.